My name is Mr.Adebayo Adelabu,the newly appointed deputy governor CBN. (http://www.cenbank.org/aboutcbn/TheBoard.asp?Name=Mr.+Adebayo+Adelabu&Biodata=adelabu)This is to bring the good news to you that I have been mandated by the President Federal Republic in conjunction with the Federal Executive Council (FEC), the Senate Committee on Foreign Debts Reconciliation and Implementation Panel on Contract/inheritance/compensation funds to complete all the unpaid Contract/inheritance/lottery fund. You are required as a matter of urgency to reconfirm your information including your name, phone number and your address for verification and immediate payment within 24 hours. To this effect, the sum of TEN MILLION, SEVEN HUNDRED THOUSAND UNITED STATES DOLLARS (US$10.7m) has been approved for you. I wish to inform you that all matters relating to the release of this payment is now under my control and supervision. This development has become necessary due to the activities of unpatriotic government/CBN officials and impostors who keep on frustrating every effort to settle our clients by making requests for unauthorized fees and levies from them. be given to you as soon as you contact him. Have a nice day. feed you with more details, You'd be paid to carry out this mission. I have Credited your ATM Card with $ 1.5 Million Dollars, Under Al-Shaikh Group Company with registration IFSC Code of "SBIN51425261059"
Your Full Name, Your home Address and phone number, so we can commence with the delivery of your ATM Card. Your name was short listed among those that have not received the $170,000.00 compensation fund that was approved to you by the Government of GHANA. The Government has given the last grace for you to claim your funds or they will confiscate all unpaid funds that was approved for all scam victims in Ghana. Here is the direct email of the Director (l.adumante01@yahoo.com) contact him for more details on how you can claim your funds or update us if you want your fund to be confiscated. CC: Bureau of National Investigation Ghana. My name is Mr. Clark Anderson UMHR, I work with the United Nation Organization In the department of UN COMPENSATION AND FINANCE UNIT, I'm in charge of Investigating through unpaid scam project and financing all Scam Victim Compensation Fund. It has pleased me today to read and attend to your email after going through thousands of Scam Victims complains and emails worldwide, each day I have so many cases and Investigations to attend to and at the end of the day it all boils down to trust to enable me dispense your Scam Victim Compensation fund payment as one of our selected Scam Victims for our end of the year payment. Going through your email it has touched me to include you from our 2016 end of the year Scam Victim compensation payment of $4,500,000.00 (Four Million Five Hundred Thousand United States Dollars)but you need to be aware that this particular compensation payment comes with an Investment plan which selected Scam Victims are to Invest 40% from their total Scam Victim Compensation funds to any recognized and registered charity organization in their city where the sum of $1,800,000.00 (One Million Eight Hundred Thousand United States Dollars)would be used to upgrade and run the charity homes for a period of 6 months where receipt and reports how funds are disbursed would be rendered to our staff posted to your region, in due course you will be furnished as soon as you transfer your Scam Victim Compensation Fund from the Federal Reserve Bank NY to your private account. As a selected and approved Scam Victim Under my region, You will need to fill and return the attached Scam Victim Approval form within 42 hours of issuance as it needs to be processed and passed to the United Nations Head Quarters in Washington DC for processing then forwarded to the Federal Reserve Bank where an account would be opened in your name and funded with your Scam Victim Compensation fund where you can login to make transfers for yourself. Find attached is a copy of my Identification with Passport for your perusal. Due to the insecurity faced on the Internet, I am making sure that all Scam Victims beneficiaries under my region are well protected against scam victimization, hence you are to forward all correspondence to me for Investigation and advice to avoid you sending fees to the wrong set of hoodlums flooding the internet with false and dubious stories which doesn't exist. I hope with my few explanation, You know where I am coming from and all I seek from you is trust and loyalty to have your funds transferred from the Head office to the Federal Reserve Bank with the details you fill in your attached Approval Form. Thanks for your time and understanding, If you have any questions, please feel free to ask. Do not despair at my sudden contact, there is a business proposal that I want to initiate with you, and i demand that you can handle this proposal with a serious mind, as it requires utmost urgency and attention. I am Robert Pullman, Senior Audit Officer under the City of New York Office of the Comptroller, John C. liu, and as a matter of fact i was asked to contact you to draw your attention to this beneficial matter. In other words, Am Contacting you in a benevolent spirit; utmost confidence and trust to provide an account as solution to money transfer of a huge amount of fund (amount undisclosed), all moralities has been mapped out, it is legal and confidential. We have actually been authorized by the newly appointed United Nation secretary general, and the governing body of the UNITED NATIONS Monetary Unit, to investigate the unnecessary delay on your payment, recommended and approved in your favor. During the course of our investigation, we discovered with dismay that your payment has been unnecessarily Delayed by corrupt officials of the Bank who are Trying to divert your funds into their private accounts. To forestall this, security for your funds was organized in the form of your personal Identification number (PIN) ATM CARD and this will enable only you to have direct Control over your funds in the ATM CARD. We will monitor this payment ourselves to avoid the hopeless situation created by the Officials of the bank. An irrevocable payment guarantee has been issued by the World Bank Group and the International Monetary Fund (IMF) on your Payment. However, we are happy to inform you that based on our recommendation/Instructions; your complete Inheritance funds have been credited in your favor through ATM VISA CARD. NOTE: You are advised to furnish Mr. Jerry Paul with your correct and valid details. Also be informed that the amount to be paid to you is USD$1,200,000,00. We expect your urgent response to this email to enable us monitor this payment effectively thereby making contact with MR. JERRY PAUL as directed to avoid further delay. never seen such before.Thank you for accepting our offer, we are indeed grateful You Can Google my name for more information: Mr.Amancio Ortega. I have to let you know that i have willed ($14,253,000 USD) to you for charity work. I'm Mrs. Monica Sameer Aslam, I'm under-going my final surgery on CANCER. 11 Staple Inn Buildings, London WC1V 7QH, United Kingdom. NOTE: If you received this message in your SPAM/BULK folder, it is because of the restrictions imposed by your Mail/Internet Service Provider, we urge you to treat it genuinely. How are you today? Hope all is well with you and family? You may not understand why this email came to you. In regards to the recent meeting between the United Nations, Cyber Crimes Commission (CCc), Federal Bureau of Investigation(FBI) and the United States Government to restore the dignity and Economy ofa Nations based on the Agreement with the World Bank Assistance Project to help and make the world a better place. We have been having meetings for the past 3 months with the Secretary General of the United Nations. This email come to those who are yet to receive their compensation/inheritance/winnings and who have been scammed in any part of the world, this includes every foreign contractors that may have not received their contract sum, and people that have had an unfinished transaction or Compensation payments that failed due to Government problems etc. Recently we the Federal Bureau of Investigation(FBI) arrested internet fraudsters and Scammer with large amount of money so if you are receiving this email its means you where select to be compensated as a scam victim among 100 selected victims with part of the money recover from the internet fraudsters account, . The UNITED NATIONS have agreed to compensate you with the sum of $9,000.000.00 USD (NINE MILLION DOLLARS). 100 people where selected across the Globe for this MIDDLE OF THE YEAR COMPENSATION and Your name and email was in the list submitted by our Monitoring Team observers and this is why we are contacting you, this have been agreed upon and have been signed, so you are advised to contact Mr. Fedrick Leo of the United Nations Compensation Commission, as he is our representative in United State Of America. Contact him immediately for your Compensation payment of $9,000.000.00 USD (NINE MILLION DOLLARS) which will be released directly to you in accordance with legal clearance and procedures. It is my pleasure to inform you that your ATM Card Number; 4000128498979908 have been approved in your favor. Your Personal Identification Number is 6062. The ATM Card Value is $9,000.000.00 USD (NINE MILLION DOLLARS) You are advised that a most withdrawal value of $15,000.00 USD is permitted on withdrawal per Day and we are duly Inter Switch and you can make withdrawal in any Inter Switch site and ATM Center of your choice. He is obliged to give you a call and treat your case with utmost urgency as soon as you contact him and fill out your correct details including all reachable phone numbers for him to get in touch with you via phone and email. NOTE: Under normal circumstances the collection of your ATM CARD the IMF and the Finance Ministry insisted that you pay for the DELIVERY FEE ONLY of your ATM CARD via western union money transfer, which will cost you just $370 USD only, the western union or Money Gram payment receipt of $370 USD to the nominated courier company that will carry out with the delivery to your door step to be documented in your file as proof your collection. Ask Mr. Fedrick Leo for the instruction on how to send the delivery fee of $370 to him, Please note that the delivery fee can not be deducted from your ATM CARD due to the fact that no one has the authority to unlucky and use your ATM CARD on your behalf because you alone will be the one to first use the card for the first withdrawal with your secret code. We also advise that you stop further communications with these imposters and forward any correspondence / proposal you receive from them to Mr. Fedrick Leo in other for the FBI to bring justice to them. I am very happy to inform you that I won the election and congratulation that finally your FUND is release ok, please I just receive a call today from the president of Nigeria and I have also told him to release your fund as soon as you send the new releasing stamp Order fee of your fund. Here is the information to send the fee to Nigeria and let me know with the payment slip of the fee sent. Get back to me as soon as you send the money to this information and also email me your tel phone number. Claim your won funds $550,000 USD from UNCC,contact Mrs. Maria Richard now via email for more details how to claim your funds. I have very vital information to give to you, but first I must have your trust before I review it to you because it may cost me my job, so I need somebody that I can trust for me to be able to review the secret to you. I am Mr. Jerry Tarry, Interim Head of Inspection Luggage/Baggage here at Honolulu International Airport USA, During my recent withheld package routine check at the Airport Storage Vault, I discovered an abandoned shipment from a Diplomat from Africa and when scanned it revealed an undisclosed sum of money in a Metal Trunk Box weighing approximately 110kg. The consignment was abandoned because the Contents of the consignment was not properly declared by the consignee as "MONEY" rather it was declared as personal effect to avoid interrogation and also the inability of the diplomat to pay for the United States Non Inspection Charges which is $3,700USD. On my assumption the consignment is still left in our Storage Vault here at the Honolulu International airport till date, the details of the consignment including your name, your email address and the official documents from the United Nations office in Geneva are tagged on the Trunk box. However, to enable me confirm if you are the actual recipient of this consignment, as the Interim Head of Luggage/Baggage Unit, I will advise you provide your current Phone Number and Full Address, to enable me cross check if it corresponds with the address on the official documents tagged. Note that this consignment is supposed to have been returned to the United States Treasury Department OR to its country of origin as unclaimed delivery, I will not be able to receive your details on my official email account. Appreciate if we can keep this deal confidential. Uit ons systeem blijkt dat u al een lange tijd uw bank mail niet geopend heeft. We probeerden u erop te attenderen dat u tot op heden gebruikt maakt van de verouderde ABN AMRO betaalpas. Al onze cliënten krijgen eenmalig de kans om gratis een vervangende betaalpas aan te vragen voor 13 december 2016. Na deze datum vind automatisch een verzoek plaats die ook automatisch zal worden geïncasseerd wat €17,95,- bedraagt. Hebt u nog vragen dan willen wij deze graag beantwoorden. U kunt hiervoor terecht op onze internetpagina www.abnamro.nl. Ook kunt u ons 24 uur per dag, 7 dagen per week bereiken op telefoonnummer 0900-0024 (Voor dit gesprek betaalt u uw gebruikelijke belkosten. Uw telefoonaanbieder bepaalt deze kosten). Dit bericht is automatisch verzonden. U kunt er daarom niet op reageren. Please I need serious inquiries only no middle men, no agents, no brokers and no time wasters, I want direct investor contacts immediately so please communicate me with your contact email and contact number for further communication please be fast for I will work on priority basis. Don't hesitate to reach me with more information about you. with the Malaysia embassy for nine years, Before he died in 2002. The Bible made us to understand that blessed are the hands that giveth. hence i know where am going. if chance permits me. I don`t want them to know about these development. I receive your reply I shall give you the contact of the bank in China. fund. I want you and the church to always pray for me. always be prayerful all through your life. This is to inform you that in the course of my investigation as director of payment verification / implementation committee I came across your name as unpaid fund beneficiary in the record of the central bank of Nigeria and other banks that are suppose to get your funds released to you. My committee was set up by the payment reconciliation committee to verify and scrutinize all outstanding debts owed to our foreign beneficiaries in accordance to the information received from the United States government and other countries over unpaid huge debts owed to Foreigners. Having seen your file and my further questioning to the officials of the central of Nigeria bank and ministry of finance as to why your payment is still pending reveals the rot and corruption in the system. The bank officials told me that the reason why you haven’t received your payment is due to your inability to pay for the required charges for transfer of funds to your account. When I asked them why they didn’t deduct the said charges from your principal sum, I was given the flimsy excuse that you never authorized them to do so. When I put the question across to them if they ever advised you that such charges could be deducted from your principal fund,the answer I got was no. Now, if you do not tell this beneficiary that such charges could be deducted from his or her principal fund, how will he or she know that such options are available for such beneficiaries. From my investigation I discovered that these bank officials deliberately refused to let the charges be deducted from your principal fund because they want your fund to remain trapped in the bank, while they continue to extort money from beneficiaries under some flimsy excuse. You do not need to pay any money to any official, all you are required to do is swear to an affidavit at the federal high court of Nigeria, authorizing the bank to deduct all charges from your principal fund and transfer the balance of funds after deduction to your bank account. If you have spent any money in the past in your quest for payment, kindly let me know so that I can follow this up. You can reach me on my phone or email for directive on how you can get the deduction done as soon as possible and get your payment also. us custom office at jfk international airport, new York, united states. this hours for your consignment to leave this airport to your location. This is the only money you will pay nothing more! Nothing less! branch(GRA) Way,Ayaboninsa Avenue, UPS COMPANY (UPS). reconfirm your residential address to avoid wrong delivery please. responsibilities in case of any eventualities. email as they appear on the MONEY GRAM transfer slip. and time of departure and expected date of delivery will be sent to you. and that should be when the agent get to your residential address. We are glad to be at service to you. I am Doctor Frederick Reif from the Weill Cornell Medical Associates. I am writing you from my personal email requesting a favor from you on behalf of my patient. I know this will come as a surprise but i need your urgent attention to fulfill the wish of my dying patient. Kindly reply back to this email for further details. We are hereby officially notify you concerning your fund telegraphic, Transfer through our bank, Bank of America, New York, to your bank account, which has been officially approved by the management of World Bank Swiss (WBS) to credit the sum of US$18.5Million into your bank account. since the situation of my health is deteriorating. She will utilize these funds the way I am going to instruct herein. less privilege ones they will use it for their own personal interest. DHL EXPRESS COURIER DELIVERY SERVICE NIGERIA. problem in this matter because i believe that all is alright now . Number is ( 22-87457 ). so we are very clear with your responding. phone number to us once more to avoid misplacement. a shopper and you do not need previous experience. the shop clerk. You may conduct the shop alone or as a couple. inbox for the link to redirect you to our page. We all shop in some form or another, and many of us enjoy shopping. But very rarely does opportunity present itself to do what we enjoy doing and getting to charge for doing it. Imagine earning extra income for going shopping and filling out a questionnaire! Mystery shopping is basically a form of market research. You are asked to gather information from a customer's perspective based on your store experience. Often times, this is done without the knowledge of the personnel where the shop is taking place. As a mystery shopper, you may therefore be asked to do some acting. This is not to deceive anyone but rather to assure that the information being gathered is representative.The first thing to remember is that you are providing a service to assist our clients in evaluating the typical customer experience. Therefore, you are not contracted to “catch anyone in the act” or trap the client's employee. Rather, it is your assignment to answer specific questions in an un-biased and constructive way. This helps our client better understand how their employees are serving their customers, and provides them with direction for implementing necessary training to improve the guest experience. As an independent shopper, you will contract with us as an Independent Contractor, and not an employee. 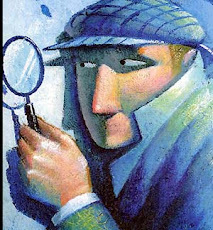 Each month we have various mystery shop assignments available on an assignment-by-assignment basis. We have assignments available all across North America and welcome you to join our national independent contractor network. West Africa Fund Monitoring Unit. Your fund will be transfer to you via ATM Visa Card which is cash-able in any ATM machine or Bank anywhere in the world. We hereby inform you that the ATM card worth US$4.8,million US dollars has been credited in your favor as the first part payment of your inheritance fund which has been delayed by these officers who claim to be in position of your fund.Therefore you are warned to stop any further communication with anybody concerning your inheritance fund. Your fund to be released via MasterCard ATM in act to uphold the rule of law which we represent.You have to reconfirm the information below for security reasons. And also be informed that delivery agent will leave this country as soon as you comply with (Courier)Company requirement. Send them the following information of yours for the conclusion of your ATM Card: DHL director, Mr.Duhung Pierre. Therefore you have to stop contacting anybody or offices regards the check draft since I have authorized the bank to issue you an ATM CARD so that you can withdraw your funds to avoid any further problem.contact him once you received this email. My name is Mr. Clark Anderson UMHR, I work with the United Nations Organization In the department of UN COMPENSATION FUND UNIT, I'm in charge of Investigating through unpaid project, Inheritance funds, Lottery and other means of payment that was denied the real beneficiary through scam and fake paper work. From my record here, it shows that you have been denied payment and this was suppose to be either your Inheritance fund, Lottery, IMF, Bank transfer and fake compensation payments etc, I forwarded your report to the UN SCAM VICTIM INVESTIGATION DEPARTMENT in Washington DC to know why your transfer wasn't made to you they confirmed to me that the person who contacted you to make claims played a fast one on you, thereby deceiving you with all sort of fake stories, false paper work and no intentions to transfer any funds to you but to victimize through Scams which the United Nations Human right commission is against. With full hopes, I have demanded that a compensation payment should be made to you immediately without delay from the UN Scam Victim Compensation Fund program for 2016 payment section, the sum of $4.5million USD has been awarded to you this morning from (BATCH A) to be issued through the Federal Reserve Bank NY which we are working with to disburse payment to selected Scam Victims. As soon as you respond to this e-mail with the below information's, I will send you a comprehensive payment approval form that you need to fill and return back to me for your account to be setup with the Federal Reserve Bank where you can login to view your funds and make transfers to any bank of your choice. You are to attend to this compensation with all amount of seriousness and dedication so as to receive your compensation for being cheated on in time past. PLEASE NOTE THAT THOSE WHO HAVE LUCKILY EMERGED FROM OUR BATCH A PAYMENT OF $4.5 MILLION ARE LIABLE TO INVEST 25% OF THEIR TOTAL FUNDS TO ANY AUTHORIZED LESS PRIVILEGE HOME IN THEIR CITY THEREBY GIVING US FULL DOCUMENTED REPORT OF THEIR SUCCESS IN GIVING BACK TO THE LESS PRIVILEGED. I am Mr Parker James, I am a US citizen, 55 years Old. I reside here in Nevada . My residential address is as follows. 2990 Canfield Drive # ALas Vegas, Nevada 89108 United States, I am one of those that took part in the Compensation in Nigeria many years ago and they refused to pay me, I had paid over $69,000 while in the US, trying to get my payment all to no avail. So I decided to travel to WASHINGTON D.C with all my compensation documents, And I was directed by the ( F B I) Director to contact Mr.Alex Williams, who his a representative of the ( F B I ) and a member of the COMPENSATION AWARD COMMITTEE, currently in Benin Republic and I contacted him and he explained everything to me, He said whoever is contacting us through emails are fake. and your email address, that is why I decided to email you to stop dealing with those people, they are not with your fund, they are only making money out of you. I will advise you to contact Mr.Alex Williams,You have to contact him directly on this information below. The only money I paid after I met Mr.Alex Williams was just $250 for the paper works, take note of that. Once again stop contacting those people, I will advise you to contact Mr.Alex Williams so that he can help you to Deliver your fund instead of dealing with those liars that will be turning you around asking for different kind of money to complete your transaction.